As we find ourselves becoming more and more reliant on technology, we are spending more time staring at computer screens than ever before. One down side of this is its effect on our eyes. Known as Computer Vision Syndrome (CVS), it is causing us to have blurred vision, red eyes, headaches, and neck pain. If you work at a computer most of the day and are noticing some eyestrain, you may want to see an eye care professional. After an eye exam you may be prescribed specific eyewear for working on the computer. The type of lens that will work best for you generally depends on how old you are. If you already use progressive lenses or reading glasses, then a multifocal lens for your computer eyewear will most likely be your best choice. This will allow you to have both your computer screen and printed material in focus. There are also specific multifocal lenses, known as office progressives, which are optimized for working at a desk while using a computer. Single vision lenses can also be an acceptable solution for computer eyewear. Your eye doctor or optician will discuss your needs and assist you in deciding the best solution for you based on your prescription and work environment. Depending on the office environment that you work in, a light tint added to your computer lenses can reduce the amount of light entering your eyes. 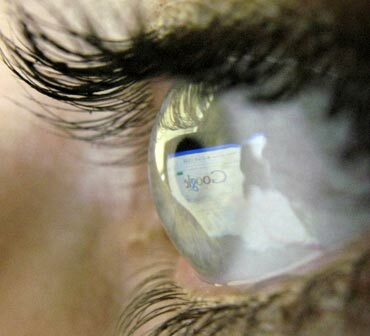 Some individuals feel this helps reduce eyestrain while working at a computer. The main thing to remember is that a tint by itself generally does not reduce CVS. The main source of computer vision syndrome is focus fatigue. Anti-reflective (AR) lens coatings are recommended for computer eyeglasses. AR coating will minimize reflections on the front and back lens surfaces, which cause glare. This glare can interfere with your ability to focus on your computer screen.